Take your bar or kitchen counter to new heights with this futuristic barstool. The piece features a rounded back and metal base in a high-sheen finish. A lever allows you to adjust the seat height to suit your needs. White upholstery completes the sleek modern look. 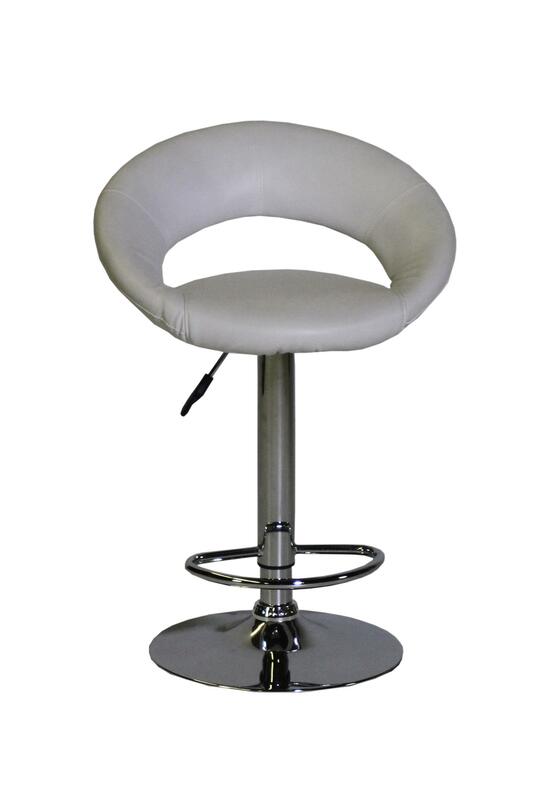 The Plump Barstool by Actona Company at HomeWorld Furniture in the Hawaii, Oahu, Hilo, Kona, Maui area. Product availability may vary. Contact us for the most current availability on this product.